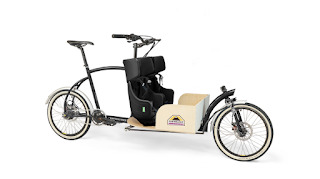 Porterlight, the cargo bicycle company, has won Appear Here's competition to win a pop-up shop in Covent Garden. The store will open on Tuesday 11th August, and will run for two weeks, with regular evening talks on subjects like Technology, advanture and cycling. 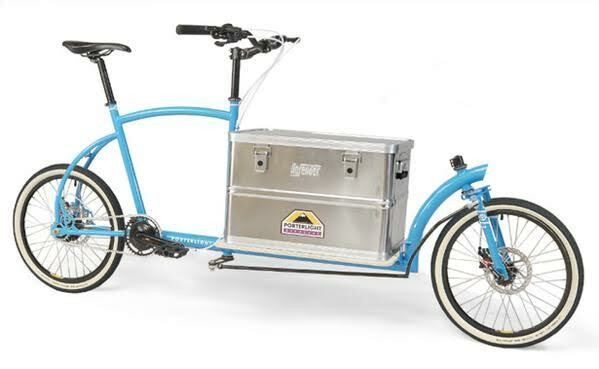 "For two weeks beginning August 11th we're going to be opening the doors of The Porterlight Bicycles Possibility Shop, in Covent Garden. The space was won through a pop up show competition for start-ups. Porterlight Bicycles is a company founded this year after taking the plunge of quitting my day job, and cycling my prototype cargo bike on a 5,000km test ride from Romania to Kazakhstan. What has really struck me during this whole process of building my bicycle from scratch, riding unsupported all the way to the Chinese border, and now having a shop in Covent Garden is the sense of possibility. I plan to use this shop to get other people inspired about, and engaged with the world of possibilities there are out there. I really admire and have been inspired by people who have taken a risk, and made a change to explore the dreams and possibilities that they discovered in the world. Now I'm keen to share the same sense of possibility and inspiration that I've discovered through talks and events on these subjects, with visitors to my shop. I will be curating mixture of free evening talks, video screenings, and events based around the theme of possibility from the worlds of Adventure, Entrepreneurship, Cycling, and Technology.